As our loved ones age, in order to provide the best and safest environment to foster their independence, socialization, and quality of life while monitoring medical needs, we may find ourselves looking into the possibility of an assisted living community. The quality of life that an assisted living community offers seniors creates the ideal atmosphere for their enjoyment. Affordability is a key component to a family’s decision when contemplating various assisted living communities. While it is important that you find an assisted living community that has excellent medical care, cleanliness, a wide variety of activities, delicious food, and community outings, affordability is also something to weigh during your search. Explore a simple comparison of costs for assisted living, amenities, and services; and read resident and family reviews to get a better understanding of your options. In addition to comparing options on paper, be sure to visit each of your favorite choices in assisted living communities to get a realistic feel for the atmosphere, care, and amenities. While evaluating the cost of moving into an assisted living community, break the financial details down into the day-to-day costs of living. When you take into account that the assisted living lifestyle enhances the daily lives of its residents in an independent fashion that also relieves the family of daily oversight of their loved one in their home, the assisted living community is clearly worth it. When a loved one moves to an assisted living community, strong family relationships can stay intact and even grow, while daily assistance is provided by caring staff members, leaving the fun and memory-making to the family. Seniors often face difficult physical situations— dementia, vision or hearing loss, and even broken bones— and these issues make day-to-day living in their own home difficult and sometimes even hazardous. Families who notice their loved one needs additional care often start by hiring home health care assistance 24/7. Although their loved one is able to stay in their own home, this is neither an easy or inexpensive prospect. When calculating costs, don’t forget to add up the cost of your loved one living in their own home (food, maintenance, taxes, electricity, water) combined with the cost of hiring health professionals to come to the home. Often hiring home health care adds up to more than moving into and living in an assisted living community. Assisted living communities benefit seniors by enriching their daily quality of life, monitoring their health as needed, and taking on the daily responsibility of looking out for the safety and wellbeing of your loved one. 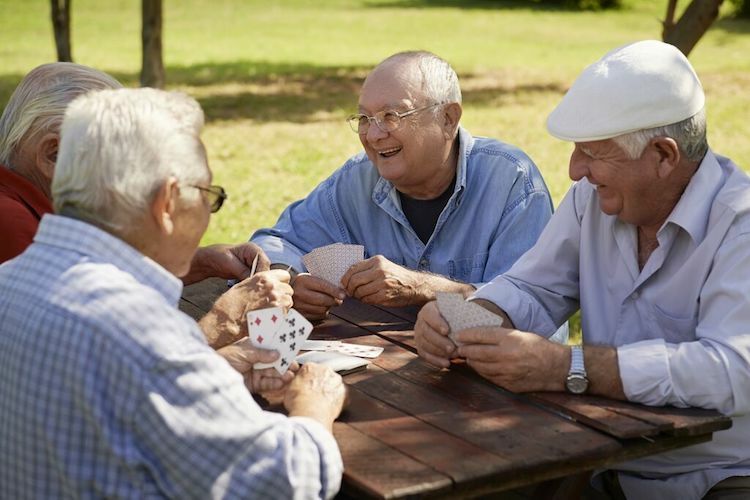 Your loved one’s youthful zest for life is often renewed when they become part of a vibrant community of people who want to stay active and enjoy each day by engaging in a variety of activities and events at their fingertips. Even the food is delicious and full of variety! Many seniors who move into an assisted living facility feel they are at a place of a new beginning. They embrace the relationships in their lives even more as their home situation shifts from being a bit isolated to a warm community setting. It often costs less to live in an assisted living community than it would to hire a nurse— and that nurse would not be able to facilitate diversionary activities, socialization, and daily enjoyment for your loved one to participate in. Oklahoma is one of the most affordable states in which to live in an assisted living community. So don’t fear, The Parke Assisted Living Community is here to assist you and your family in making a smooth, affordable transition. You’ll be amazed at how the engagement in activities, delicious meals in our dining room, and quality events add to your loved one’s enjoyment of life. And you can rest assured, we’ve got them covered, so you can visit and relish your time together, or take them on outings for added variety. The Parke Assisted Living Community invites you to discover the quality of life available for your loved ones. Check out our services and amenities page to learn about the diverse opportunities we offer residents. Our 24-hour staff takes care of pharmacy services, housekeeping, monthly wellness clinics, meals, activities, and entertainment. The Parke is a safe, caring community and a beautiful place to call home. We look forward to meeting you and your family and discussing the best possible solutions for your loved ones. When your family member is ready for senior assisted living arrangements that provide socialization, as-needed care, independence, and enriching activities, our elegant, state licensed, Tulsa-area assisted living community, The Parke, is honored to provide for your needs. You will find us affordable and enjoyable! Call us today at 918-249-1262 to schedule a tour and complimentary meal.